Former Manchester United star Jordi Cruyff believes Tottenham Hotspur manager Mauricio Pochettino has been smart by playing his cards close to his chest with regards to his future. Pochettino is one of the most in-demand managers in the game at the moment and has emerged as Manchester United’s top target to become their next permanent boss next summer. The Argentine has also been Real Madrid’s long term target and the club could again try their luck for him at the end of the season, but Pochettino has said nothing about his future. The 46-year-old has been coy over whether he could leave for either Manchester United or Tottenham and Cruyff feels it has been a smart strategy on his part. 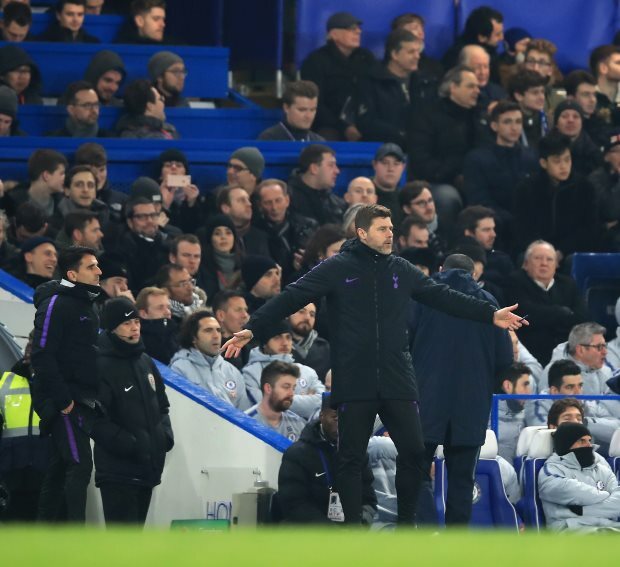 He believes at some point Pochettino will have to make a decision but feels it is good that he has stayed focused and not allowed the world to know what he has been thinking. “I like his football”, Cruyff told the Times. “He’s done a very good job. “What I see from him, he is clever because he has various cards in his hand, but doesn’t put them on the table. “Real Madrid fans think he wants only to go to Real Madrid. United fans think he wants only to go to United. He added: “This is not a criticism. There will be a moment when he wants to smell the bigger places.